It’s Wednesday. Hello to all the CRR readers out there. 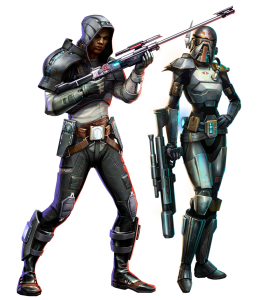 Welcome to Force Lore, your weekly dose of the who’s, the what’s, the when’s, and the why’s of the Star Wars Universe… Especially when it comes to anything dealing with the awesome MMO, The Old Republic. In essence, we’re trying to be an out-of-game extension of the Datacrons found in-game. This week, we’re looking at the last of the starting planets for the different classes found within Star Wars: The Old Republic. Last, but not least, is the world of Nal Hutta, or as it’s known in the game, Hutta. This is the starting area for the Imperial Agent and the Bounty Hunter, two of the classes for the Sith Empire. I’m not going to lie. I have procrastinated with this article all week long. Partially because I’ve been enjoying the awesome weather that’s been abundant this last couple weeks. But also because I’ve been working on custom content and writing for another project I have with my friend. As my friend’s wife says to him, the same may apply to me: I only have enough room in the playroom in my head for so many toys at one time. But, without further ado, let’s check out the biggest mobster planet in the game. Follow me in after the jump! "Looks like a ball of slime and boogers!" Nal Hutta, translated from Huttese is “The Glorious Jewel”. Most players will wonder how the heck it could be called that. The world that has come to be known as the homeworld for the Hutts. At one point in time, it may have been a better place than it is now. But that time is obviously long past. 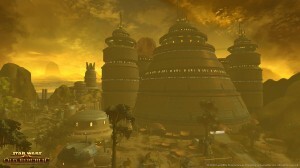 Nal Hutta is the main orbital body for Nar Shaddaa, known as the Smuggler’s Moon. More of an ecological disaster now than a “Jewel”, Hutta is a wretched hive of scum and villainy. The Hutts migrated to Hutta from their original home on the planet Varl, after their home suffered a huge cataclysm that vaporized the atmosphere. Believing that they survived this catastrophic event by the blessings of their gods, the Hutts thought they had been elevated to near god-like status themselves. This explains the “better than everyone else” attitude that most Hutts possess. Upon landing on Hutta, or Evocar as it was formerly known, the Hutts found the native Evocii and began the process of taking advantage of them. The Hutts are greedy. Always have been and probably always will be. They wanted the whole planet and started taking it away from the Evocii for “a song and some beads” over the years. Eventually, the Evocii would realize what was happening, but it would be too late to stop the Hutts. From then onward, the Hutts used their new home to begin forging the underworld empire of crime and shady activities that we see today. Hutts are narcissistic and hedonistic, wanting all the luxury they can gather and enjoying all the pleasures of life that they can. And they’re willing to have whatever needs to be done in order to fulfill their greedy wants. Within SWTOR today, we see a world that is heavily polluted and a planet that has had it’s natural resources taxed to the limit. It’s said that most off-world travelers can’t survive a day on Hutta without medical aid. But, on the bright side, if it wasn’t for the Hutts and their decadent ways, we wouldn’t have the Twi’lek dancing girls! As either a Bounty Hunter or as an Imperial Agent, you come out of the starport on Hutta and immediately see what kind of cesspool you’re going to be working in. Most areas look more like a shanty town than a area of a planet that has achieved interstellar travel. The plus side is that there are two bars in the opening area that your character can kick back in and chill. In the industrial area of Jiguuna and the swamps surrounding it, your character gets involved in a feud war between Nem’Ro the Hutt and his rival, Fa’athra. You can easily see the squalor that everyone lives in, the exception being the Hutts. I imagine that the place smells as bad as it looks. Chemicals have seeped into the water and mutated the local wildlife, poisoned the plants, and even the air is noxious. Trash and rubble litter the area throughout the swamps. The local inhabitants seem to owe everything to the Hutts and have nothing really, except for their lives. Even that’s in question. While Hutta didn’t seem quite as spread out as some of the other starting areas, there’s still a fair bit of running to be done. Public speeder points can make a world of difference here, so be sure to get all of these points. As far as quests go, keep an eye on your mini-map as you travel around. If you’re not careful, you can easily miss one or two. Overall, Hutta is exactly what you’d want the Hutt homeworld to be. Nasty and an obvious over-exaggeration of the paradise that the Hutts consider it to be. Both the Imperial Agent and the Bounty Hunter storylines are going to show you this small slice of spoiled bantha pie in all of it’s glory and splendor. Comparing it to any other world is not possible. Hutta is an experience all it’s own. 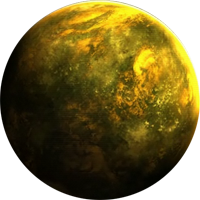 This planet is not for the weak-willed, as only the most cunning and ruthless can survive a trip there. Now that we’ve finished up the opening/starting worlds, we get to move into some other areas of the Star Wars Universe that may be of more interest. Oh the places we’ll go and the people we’ll see… I’m sure the anticipation for Legacy 1.2 is building more and more each day. I am really looking forward to playing the new Ship Droid mini-game. Wait… that was a joke? Damn you BioWare! Still, the goodies coming our direction are too numerous and awesome to ignore. Star Wars™ is a trademark of George Lucas and Lucasfilms/LucasArts. Star Wars: The Old Republic™ is a trademark of BioWare/EA Games. All content referenced in this article (Characters, locations, story, etc.) are property of abovementioned parties. All rights reserved.